Christmas, President Thomas S. Monson has written, "is a glorious time of the year, simple in origin, deep in meaning, beautiful in tradition and custom, rich in memories, and charitable in spirit." Even still, it is easy to lose sight of the connections between the holiday we celebrate and its origins in the birth of the Savior of the world. Author Eric D. Huntsman, in a companion volume to God So Loved the World, has provided yet another insightful look into the origin, meaning, and celebration of an aspect of the Savior's life. Beautiful illustrations, fine artwork, and photographs accompany the latest scholarship about the birth of Jesus Christ. Sidebar articles illuminate various aspects of our Christmas celebration, from the music that delights us to the symbols that have accumulated through the centuries to become familiar and welcome reminders of the season. Throughout the book are suggestions for celebrating the Advent of Jesus Christ through the traditional four aspects of Advent: Hope, Love, Peace, and Joy. President Uchtdorf has remembered the Advent of his youth thus: "Advent was a time of anticipation and hope, and it brought a special feeling into our humble home as we prepared for something holy and beautiful. Each Sunday we lit one additional candle; by the fourth Sunday our expectations for the coming joyous events had reached their peak." 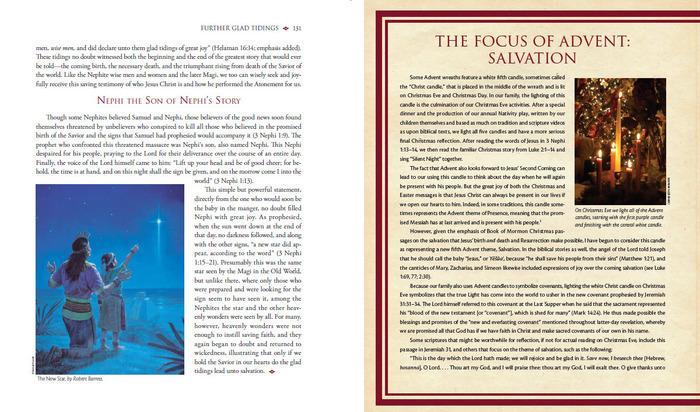 The author also suggests an added "focus" of Advent for Latter-day Saints: Salvation, with scriptural support from the Book of Mormon. By celebrating the advent of our Lord and Savior, we can find in the old forms of Christmas the message that the Lord intended us to find: Salvation comes from and through the life of the Babe of Bethlehem, Jesus Christ. A fantastic way to add to the spirit of your Christmas season! We love this book. Eric does an amazing job bringing together facts about Christ (some of which are lesser-known) in ways that help us consider Christ and His mission with a fresh, yet thoughtful, perspective. We use this book as we celebrate the Advent of Christmas. Each Sunday before, and including, Christmas, we have a member (or two) of our family study a chapter from the book. Then they present the portions that touched them most to the entire family. This helps facilitate wonderful discussions about Christ and His mission, and insightful questions and comments from our children. Often, we will supplement this with some of the newly-released Bible videos the Church has released online. It has increased the Spirit in our home greatly as we have used this opportunity to study, in greater detail, the life and mission of our Savior as we prepare to celebrate His birth at Christmas time. I'm certain it can do the same for you. Great Reference - a wonderful addition to our library! There are gorgeous pictures and photos in this book - my daughter just loved looking at each picture! Using the traditional advent theme of Hope, Love, Peace and Joy, Huntsman offers suggestions, ideas, and more, for celebrating the season that steers far-clear of the hustle & bustle of the commercialized Christmas holiday. This book works well as a reference, as material for Family Home Evening or daily as you follow the traditional calendar. As homeschoolers this is a welcome addition to our Scripture studies throughout the month of December! 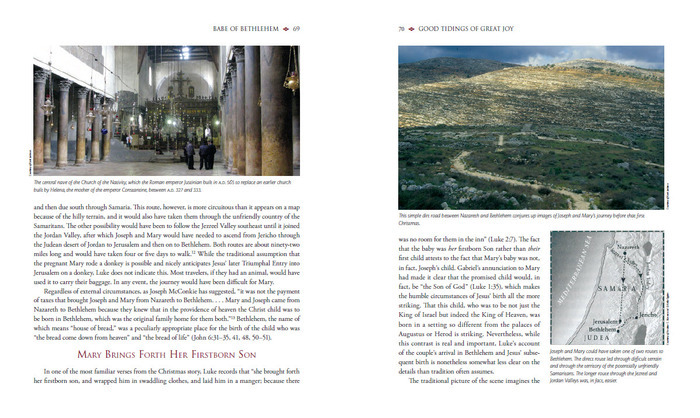 Beautifully illustrated with actual photographs of the holy land. If you want to know the history of Christmas through the scriptures and gain a deeper knowledge and understanding this is the perfect book. Every aspect of the life of Jesus Christ is touched upon and it is unfolded with a special spirit. There are ideas and suggestions for your family to enjoy the season focused on the deeper meaning surrounding Christmas. It will surly delight and uplift your holiday experience. Good Tidings of Great Joy exceeded all of the expectations that I had placed upon it as a follow up to God So Loved the World. Eric Huntsman was able to capture the preparatory method yet again, this time to help each of us be able to prepare better for the Holy Day of Christmas. As in God So Loved the World, the artwork and pictures add a vivid dimension to the book and allow the reader to really feel as if they were in Bethlehem as the coming of the Savior draws near. Huntsman does a great job of finding themes and topics relating to the Christmas stories to allow the reader to see why events are important surrounding the birth of our Savior. Another great aspect of the book is the appeal that it has to scholar and believer alike. The book can be read on numerous levels leaving whomever reads it coming away filled with the Spirit of Christmas, and an increased testimony of the Savior Jesus Christ. This book won't disappoint you. It will be a Christmas classic in my family's library. "Good Tidings of Great Joy" is a companion volume to Eric's recent book on Easter, "God So Loved the World." Like his first book, it is beautifully formatted with much wonderful art work that is not common to the LDS market, which is a refreshing change that opens my eyes a bit to other artists' interpretations of the events they portray. Even more important in the book is the deep and thought-provoking content, which includes the same types of sections he used in his first book such as music that fits the specific topics of each chapter. I will use this inspiring book year after year as an aid for myself and for my family to learn more about the events surrounding the Savior's birth as well as many of the important doctrines of the Nativity that Eric has included. As I read through it, I can feel the Spirit with which is was written--as a testimony of the divinity of the Savior's eternal mission that he so perfectly fulfilled. 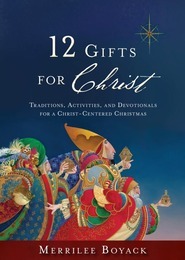 Excellent resource for Christmas celebration! 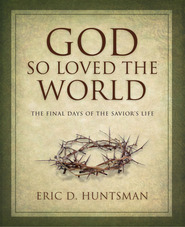 Eric Huntsman’s “Good Tidings of Great Joy,” is the companion piece to his previous Easter volume, “For God So Loved the World.” Those who enjoyed the first volume will not be disappointed by this follow-up, as the author once again delivers the blend of faith and scholarship that makes his writings so appealing to a broad audience. 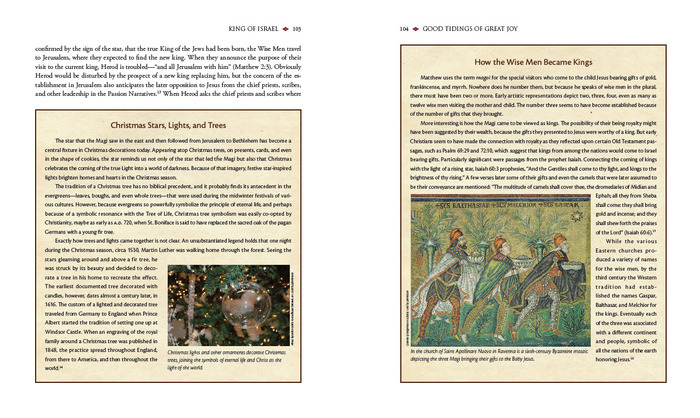 As before, illustrations and artwork drawn from the great masters of the past can be found on almost every page, as well as beautiful photography to illustrate the traditional sites of key events surrounding Christ’s birth. Each chapter of the book provides detailed commentary on one of the chapters of the Infancy Narratives (Matthew 1-2, Luke 1-2). Huntsman avoids the common temptation to harmonize the birth stories found in Matthew and Luke, instead allowing each author to stand on his own and helping us to appreciate the unique perspectives and themes of the two accounts that can often go unnoticed when the stories are blended together. A final chapter on the Book of Mormon stories and testimonies of Christ’s birth allows LDS restoration scripture and insight to be brought in as well. There is less biblical material to cover this time around, which allows Huntsman to go into even greater depth and include additional resources that were not in the previous volume. For example, there are text boxes which provide the historical background behind the development of various holiday traditions, such as Nativity scenes, Christmas lights and trees, and gift-giving. 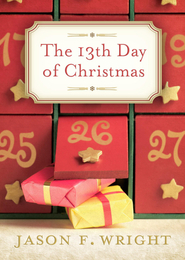 In addition, the popular Christian tradition of Advent is highlighted throughout the book. Each chapter includes a section that reflects on one of the Advent themes of Hope, Love, Joy, and Peace. Several other features of the work remind us that this book is intended also as a worship guide. Every chapter includes multiple text boxes with musical suggestions (such as Bach’s Christmas Oratorio and a myriad of European Christmas carols). 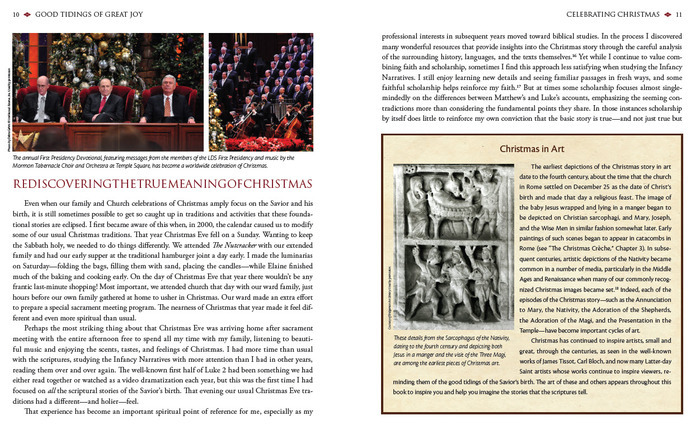 One of the appendices, titled “Preparing for Christmas” consists of a Family Resource Guide with a list of stories, scripture passages and carols for every day of December. Incorporating this guide into personal or family devotional time will help us to see past the commercialism of Christmas and focus more on the theological significance of this time of year. For the scholarly-minded, the previous volume did not disappoint and neither does this one. In fact, the number of biblical scholars referenced in the sources section has practically doubled. The book is again filled with several text boxes that explore the scholarship on important issues (such as the genealogies of Matthew and Luke, the dating of Jesus’ birth, the formula quotations in Matthew, etc.). An appendix, “The Infancy Narratives and the Christmas Story,” contains further discussion of the scholarly background behind the main chapters, focusing particularly on the historical, literary, and theological components. Whatever your interests in the Nativity stories, you will find something in this volume that will speak to you and enhance your understanding and appreciation of this time of year and of the Savior’s birth and mission. Increase your understanding and appreciation of Christmas! Beautifully illustrated, Dr. Huntsman's "Good Tidings of Great Joy" continues his exploration of Jesus Christ, this time by going back to the Nativity. The five chapters are intelligently divided, with thoughtful and insightful text boxes spread throughout the book that highlight the more scholarly aspects of the work (the different genealogies given in Matthew and Luke, for example). As a trained ancient historian, Huntsman is adept at utilizing the most recent biblical and Classical scholarship, but it is his ability to blend scholarship with faith, and to do so in an engaging and accessible manner, that really sets him apart. He pulls not only from LDS sources, but Jewish, Greek, Roman, and early Christian sources as well. The endnotes and appendices provide an ample sandbox for those who wish to dig further. Huntman's interest in Advent, which may strike some LDS as odd, is actually one of the strengths of this book. He provides numerous ideas for maintaining the spirit of Christmas not only in the build-up to Christmas Day, but throughout the year. Additionally, there are several beautiful works of art that are not commonly seen in "church books". This book definitely ranks as one of the best books to come out of the ranks of LDS authors! I would highly recommend this book to anyone who wants to learn more about Christmas from the devotional or historical side. A must-have for your library!